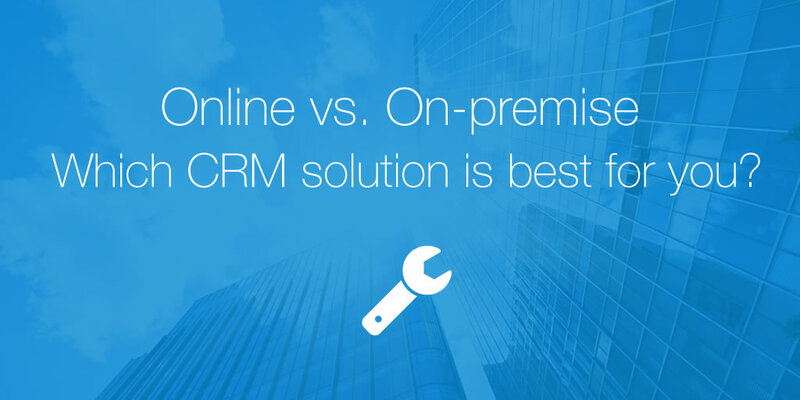 Online vs. On-Premise: Which CRM solution is best for you? When choosing a CRM for your business, it’s important to understand the difference between Online CRM and On-Premise CRM solutions. Online CRM is hosted on your CRM provider’s server. It does not require installation on your office or home computer. The customer pays a subscription fee and connects to CRM remotely through their web browser, using a login and password. Synonyms for online CRM are Hosted CRM, Cloud CRM, Web-based CRM and SaaS CRM. On-Premise CRM is hosted on your office server, it’s necessary to install and configure it. Such CRM is accessed via Local Area Network of a company, that means it doesn’t require an Internet connection. On-Premise CRM is also called On-site CRM. So what are the key factors to consider when deciding between Online versus On-Premise CRM solutions? On-Premise solutions are usually expensive. The expenses include the cost of software, hardware, installation and administration. Depending on complexity, these CRMs will cost from several thousands to tens of thousands dollars. This may not be feasible for many small business companies, but might not be a problem for large corporations. Online CRM systems can be as low as a few dollars per month, but keep in mind the payment is usually on-going, you pay as long as you use the system. 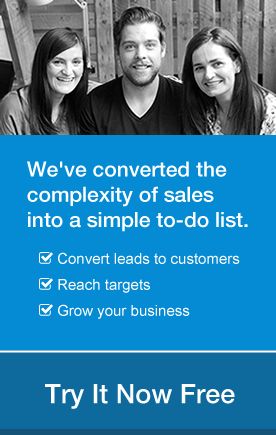 At the same time, you can always stop using your current Online CRM and easily switch from one solution to another. Another thing to consider is time of implementation. On-site CRM systems usually require essential amount of work on servers and networking equipment, it takes more time to install and actually start using. Online CRM systems are free from technical maintenance issues. There is no need in any additional hardware or significant IT team intervention, but it does require stable and fast Internet connection. Although it may seem that on-premise CRMs are more advantageous in terms of data security, it is not the case. Online CRMs provide the same level of privacy as on-site CRMs, since hosted CRM network is accessed through a secure internet connection. Yet, it is actually safer to store your data in an online CRM, since in-house solutions are not always properly monitored and are often attacked by worms or viruses. One of the reasons companies choose on-premise CRM is the ability to custom-tailor their solution, so that it met their specific needs and unique, complex operations. With a good on-site CRM you can alter the interface and develop your custom features. Most hosted CRM solutions use the same copy of their software for all their customers, but while not customizable, they are configurable. That usually perfectly caters to the small and medium sized business industry because SMEs don’t normally have the unique needs large businesses do have. To manage a CRM solution on-site a company needs to dispose of hardware and IT resources. It shouldn’t be a problem if a corporation already owns servers and has an IT department. Though there would be a high cost implication for an SME enterprise to hire new staff for the sake of implementing and maintaining a CRM system. An on-premise CRM doesn’t depend on Internet connection and is always available. With online CRM, if your internet connection is weak it could be difficult to access your account. At the same time it’s complicated to access an on-Premise CRM remotely, while it’s easy to work with a hosted CRM from literally anywhere with an internet connection available. For small businesses, Hosted CRM solutions is the most popular option, they are cheap, convenient and fast to implement. Large corporations usually make their choice in favor of control and the customizable features on-site CRM applications can offer. Smaller businesses in particular are gravitating towards online CRMs since they’re lower cost, secure and easier to set up. Typically they don’t require an IT department to set them up and can also be accessed from anywhere with an internet connection. I appreciate you mentioning that an on-premise CRM is able to be customized to fit our situation. The company I work for is in need of a new CRM, and they are wondering what type they should go with. I’ll be sure to tell my boss that he should go with an on-premise one since we’ll get the perfect product for our company. Glad you found the article of help. It’s really important to choose a CRM that is right for your company. My concern is working with customers that require ITAR Compliance ensuring data does not leave the US or is accessible by no US Citizens. I have not found a Cloud CRM that can meet this requirement. So it seems I will be looking at OnPremise. Anything I am missing? * non-US Citizens. Sorry for typing error. Hi Paul, OnePageCRM does not have specific ITAR compliance in place. However, your data is stored on Amazon servers in the US and is protected by a 256 BIT Encryption key. If you’d like any more information, please drop us an email to support@onepagecrm.com.